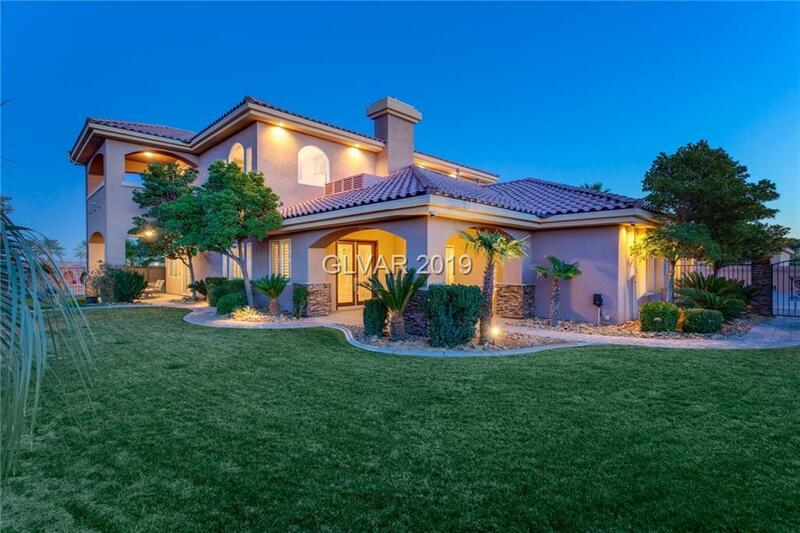 Beautiful custom home in SW, near 215 and Raider Stadium. Full Strip views from balcony. Bright, open, fantastic condition! 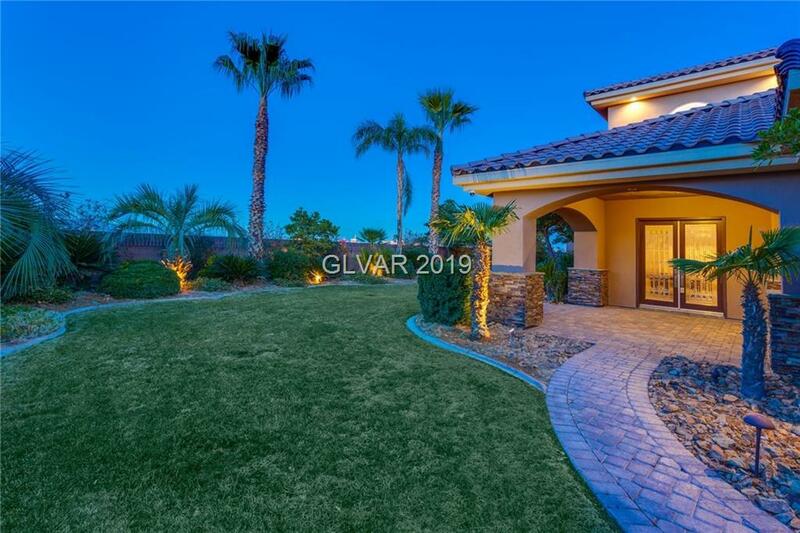 Expansive backyard with covered outdoor kitchen, pool/spa/waterfall, putting green, RV parking & plenty of space to entertain. Large bedroom suites, huge loft with wet bar and den, surround sound, hardwood and tile flooring, architectural details, tall ceilings, window shutters, ceiling fans and granite throughout. NO HOA.